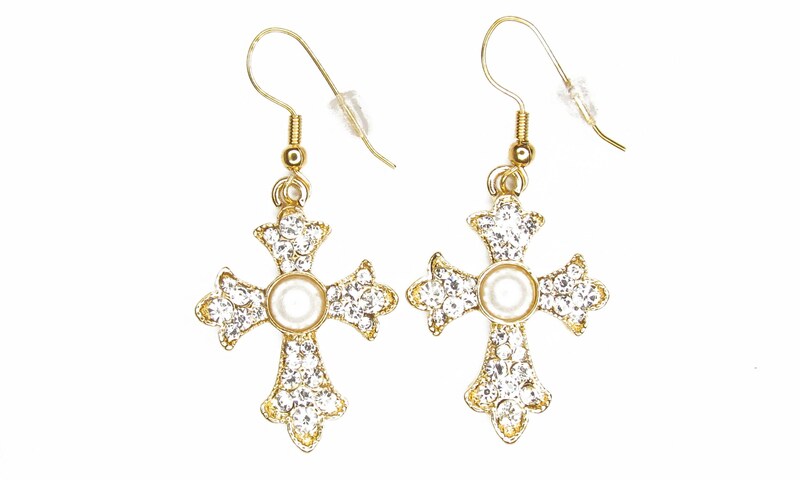 Style and Flash pearlescent center surrounded with Inspirational Rhinestones Studded Cross. 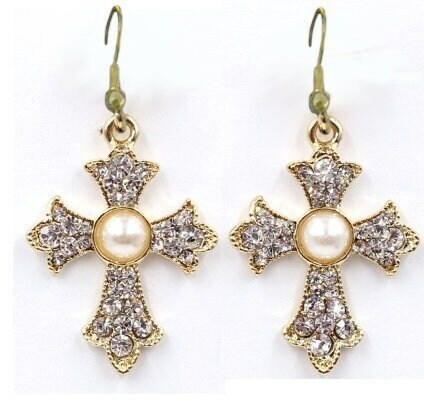 Fashion Cross Pendant/Earrings measure 1 1/4” long x 7/8” wide. Earrings for $11.99. Gold tone color.